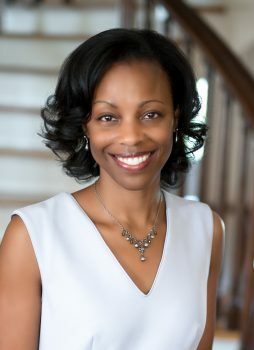 Lena Hill, senior associate to the president, interim chief diversity officer, and associate vice president at the University of Iowa, has been named dean of the College at Washington and Lee University. W&L Provost Marc Conner announced Hill’s appointment, which is effective July 1. Her appointment comes on the recommendation of an interview committee comprising faculty, staff and students. Hill will succeed Suzanne Keen, who has served as dean of the College since June 2013. Keen has been appointed vice president for academic affairs and dean of the faculty at Hamilton College. At W&L, the dean of the College has responsibility for 21 departments, four interdepartmental majors, and seven interdepartmental programs. The dean serves as chair of the Committee on Courses and Degrees and belongs to the Faculty Executive Committee. The dean reports to the provost and serves on the Provost’s Academic Council. Hill has been a professor of English and African-American studies at Iowa since 2006, and received tenure as an associate professor in 2013. She has served as director of undergraduate studies for the English department, and in 2016 was appointed senior associate to the president before assuming the role of interim chief diversity officer and associate vice president in 2017. In that role she leads three major units of the university — the Center for Diversity and Enrichment, the Office of Equal Opportunity and Diversity, and the Diversity Resources Team — and supervises 35 staff members, while overseeing a budget of $3 million. She holds a B.A. from Howard University, with additional study at Williams College and at Richmond College in Florence, Italy, and a Ph.D. in English from Yale University. After teaching at Yale and the North Carolina School of the Arts, she received a two-year post-doctoral fellowship at Duke University before taking her position at the University of Iowa. At Iowa she served on the Strategic Plan Development Group and on the Presidential Search Committee. In 2011 she received the James N. Murray Faculty Award, which recognizes one assistant professor at the university for excellence in undergraduate teaching. Given by the Beta Iota Circle of Omicron Delta Kappa (the national leadership honor society founded at W&L in 1914), it honors a young scholar who has demonstrated outstanding rapport with students and who creates an exemplary classroom atmosphere. Hill’s scholarship focuses on African-American literature, primarily of the 20th century. In 2014, Cambridge University Press published her book, “Visualizing Blackness and the Creation of the African American Literary Tradition,” which examines both visual art and narrative art and their roles in the formation of African-American cultural identity. She and her husband, Michael Hill, co-wrote “Invisible Hawkeyes: African Americans at the University of Iowa during the Long Civil Rights Era” (2016), a study of integration, race relations, and the complexity of community and history at Iowa from the 1930s through the 1960s. They have also co-authored “Ralph Ellison’s ‘Invisible Man’: A Reference Guide” (2011). In addition, Hill has published a dozen essays, chapters and reviews, and has delivered over 50 papers and professional presentations. She was recently named to the Publications Committee of the Modern Language Association, the premier literature and language association in the United States. “What distinguishes W&L are the talented students and exceptional faculty and staff who form the lifeblood of this institution,” said Hill. “Coming here, meeting them, and understanding the amazing intellectual energy around the creative work and intellectual enterprise taking place here has been very impactful for me. Michael Hill, a prominent scholar of African-American and American literature and culture, will join the W&L faculty as a professor of Africana studies. The Hills have two children, a daughter and a son.